It’s been a long while since I’ve released any significant amount of video footage. If you could see the stack of terabyte hard drives on my desk, you would know that it’s not because it wasn’t captured in the first place. I film everything. In the past I filmed more for professional reasons related to my life as a professional climber. But lately, after looking back on all the old footage, I’m finding more and more value in it on a personal level. Climbing has been the most dominant theme in my life for more than 10 years. As I get older, I’m finding it harder and harder to keep everything in perspective, especially in regards to personal progression over spans of time. And I think it probably only gets more difficult. But as with anything else of this nature, awareness is your first line of defense against “falling out of touch”. And for me…watching old climbing footage. The interactions, adventures, and struggles of the past provides quick contrast to my life of now. 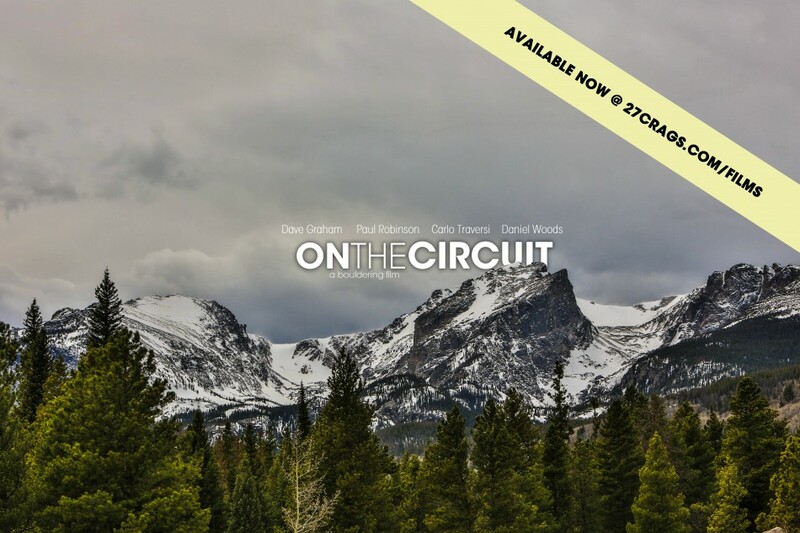 In the Spring of 2012, four of America’s Best Boulderers converged in Rocky Mountain National Park, Colorado in search of something new. Follow along as Dave Graham, Paul Robinson, Carlo Traversi, and Daniel Woods, establish and repeat some of the world’s most difficult boulder problems that surround the now infamous Bear Lake Road. On The Circuit was filmed and produced by the athletes themselves, giving you an exclusive chance to see first hand the culture of development that defines and progresses our sport. Haha Loved it man, felt like a I was there just hanging out with you guys. Keep up the good work filiming, i’m expecting to see some awesome stuff from Rocklands!